Dragon Ball’s a popular franchise with some crazy action, so of course it’s gonna get some video games based off it. The most popular (and most fun) of the bunch happened to be the fighting games, which (for the most part) did a really good job capturing the style of the show. The original Dragon Ball Xenoverse vastly expanded upon the character creation first introduced in Dragon Ball Z: Ultimate Tenkaichi, and also integrated a MMO style hub world. It was a success, even if it was aimed at fans of the franchise far more than newcomers. With success comes sequels, and Dragon Ball Xenoverse 2 is out today. It brings in a lot of improvements, and keeps building on what made the original what it was. Character customization’s gotten even bigger with new abilities, the hub world is seven times the size of the original (and now supports up to three hundred players at once), and the visuals have gotten a fresher coat of paint. All in all, it seems like exactly what a sequel should be. Dragon Ball Xenoverse 2 is out today for the Xbox One, and you can find it in the Xbox Store here. If you’d like to get the deluxe edition, which includes both the season pass and an extra character, you can find that here. PC gamers have to wait two days to get the game, and can play it on Steam on the 27th. They can still pre-order it here, however. 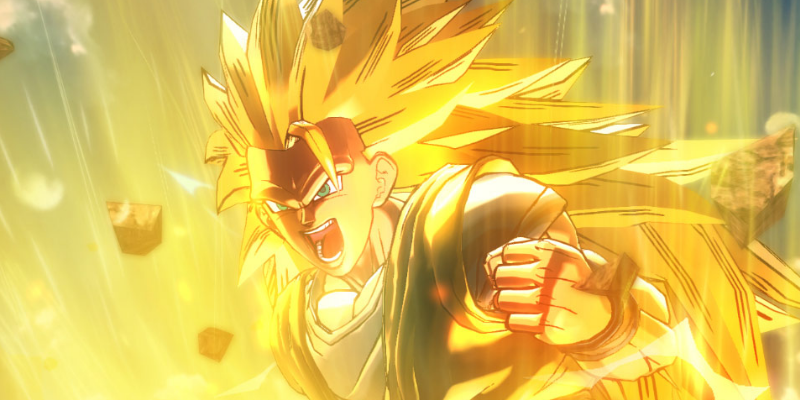 Are you excited for Dragon Ball Xenoverse 2? Will you be playing it on your Xbox One today, or are you a PC gamer? Let us know in the comments below!